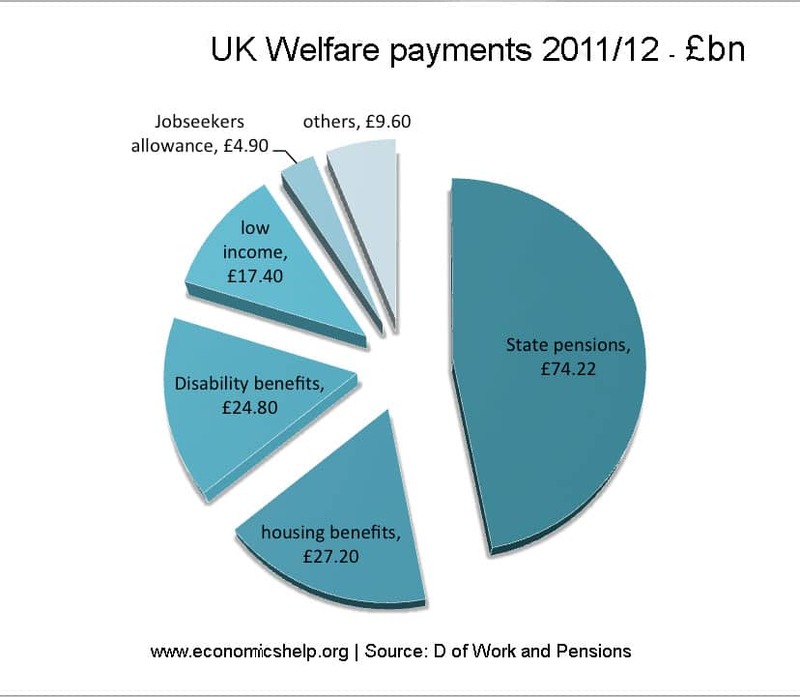 A look at how much the UK government spend on social security, benefits and welfare payments. Note. I found it very difficult to find stats on how much the government spends on various benefits. The most helpful places were. Total public spending 2013/14 – £686 billion. Benefit spending – of the £205 billion or so spent on tax credits and social security benefits, the IFS calculate about £111 billion is spent on those over pension age and £94 billion on those of working age. 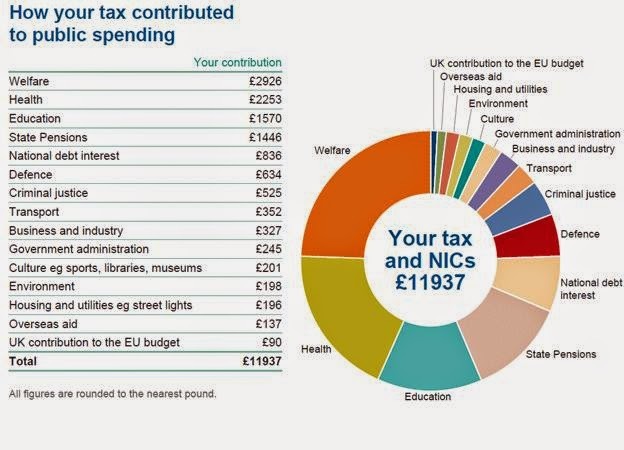 The only breakdown I could find of benefit spending was from this Guardian data doc. Using original data from the Department of Work and Pensions . A motivation for this post was the governments own guide to how it spends it’s money, which apparently is getting sent to every household (at a cost of £5 million. 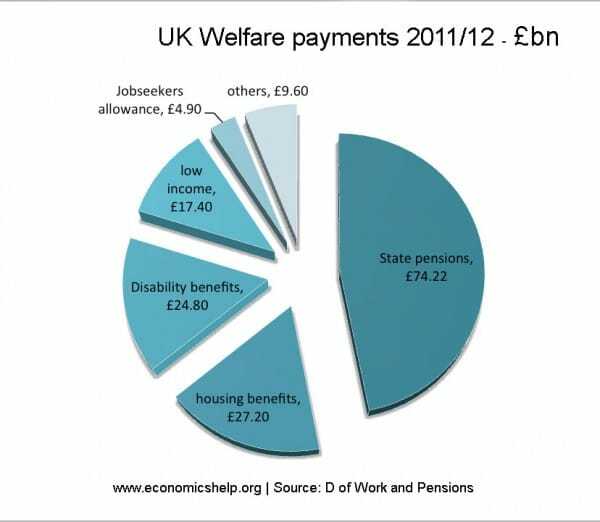 Firstly, the ‘Welfare’ budget is so diverse, it is not really a helpful breakdown. The main unemployment benefit (Job seekers allowance, just accounts for £4.9bn or 0.7% of total government spending. Yet, housing benefits account for over £23bn. Even after spending all morning investigate government welfare spending, I’m still not happy about the quality of the statistics. The IFS were very helpful in deciphering part of welfare spending. But, I would like much clearer and easier stats on the breakdown of government welfare spending from the government departments. I will contact Dept of Work and Pensions and see if they can help. I’m massively confused here because ukpublicspending.co.uk – which uses the HM Treasury PESA figures – has Welfare spending at roughly £60 billion between 2010 and 2013 and then £54 billion odd for 2014??? What does that include? Why is it different from all the other figures I’m seeing. Also, nobody seems to use the same term for this – the BBC uses “welfare”, the Economist “social benefits” and you guys use “social security”. Which one is the correct one or are they all different? It is confusing. And the government recently changed their definition of Social security spending.